David Roberts, Whitney Houston’s former bodyguard, who shadowed her between 1987 and 1995, when her popularity was at its height, said he saw absolutely no evidence of a romance between the singer and Robyn Crawford, even though he traveled the world with them for eight years. Whitney Houston and Bobby Brown certainly made an unlikely pair, as he really is a product of the ghetto. At ten year old, Bobby Brown was reportedly selling drugs in Boston’s tough Roxbury neighborhood, and at 16 was slung out of the band New Edition for performing lewd antics on stage. His success as a solo artist has been marred by drug abuse and convictions for drunken driving and failing to pay child support (Bobby Brown has five children by three women), and when his brother-in-law was shot dead in his car during a gangland feud, Bobby Brown was there beside him. Bobby Brown first met Whitney Houston at a soul awards event in 1989. The singer was supposedly then dating Eddie Murphy, but when Bobby Brown sent her 400 red roses and asked her to dinner she promptly ditched Murphy. Three years later Whitney Houston and Bobby Brown were married. The date David Roberts pinpointed was July 18, 1992, and though Whitney Houston always denied her husband was a malign influence, although her former bodyguard says he watched her alarming descent begin soon afterwards. Such is the bodyguard’s contempt for Bobby Brown that he threatened – in all seriousness – to use him as a human shield if anyone shot at Whitney Houston, and he now refers to him simply as “the Brown character”. David Roberts admired and liked Whitney Houston, and claims Bobby Brown subjected her to years of “emotional abuse”, driven, he surmises, by his resentment of her vastly greater fame. “He brought her down to his level, and it couldn’t be much lower,” David Roberts says. He recalls how Bobby Brown turned up on the maternity ward stinking drunk shortly before a terrified Whitney Houston was due to give birth to Bobbi Kristina by Caesarean section in 1993. Two years later, David Roberts says, he took Whitney Houston aside and warned her that her husband was “leading her down a road to destruction”. David Roberts also raised his concerns with her company executives – who thanked him, then dispensed with his services. Quite how the couple managed to raise their daughter, as they sank into co-dependent drug addiction, is anyone’s guess, but Whitney Houston’s mental and physical deterioration was most apparent and by the time they divorced, 14 years later, she was pitiful to behold. Bobby Brown’s sister, Tina, sold photographs revealing how Whitney Houston had turned the bathroom in her mansion into a crack-house. Whitney Houston teeth had fallen out due to her use of crack, and she constantly lost her $6,000 dentures. She was incontinent and wore a nappy. She was so paranoid she bored a hole in the wall to spy on callers. 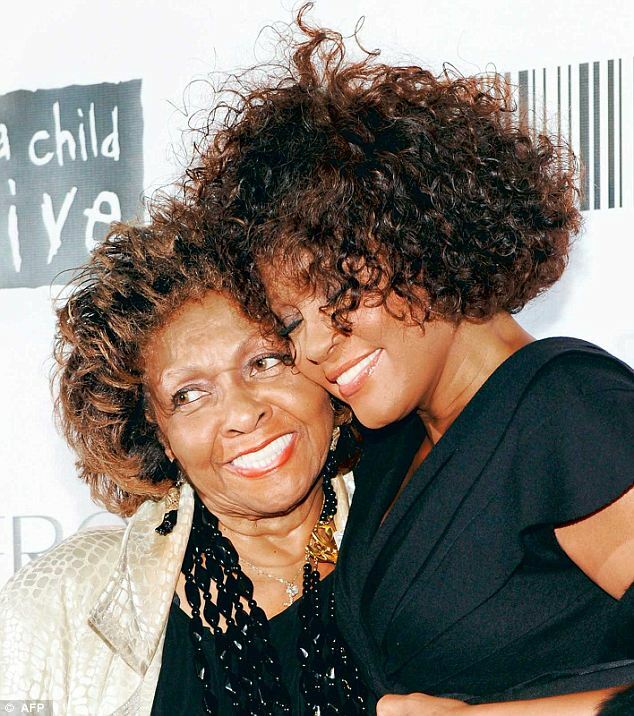 As a baby, Bobbi Kristina was nursed by a family friend known as “Aunt Bae”, and though Whitney Houston won custody of her then 14-year-old daughter after the divorce, she was frequently farmed out to her grandmother Cissy. Though Bobbi Kristina aspires to be the family’s next diva, it’s small wonder she has followed her mother in all the wrong ways. In 2008, Bobbi Kristina Brown reportedly attempted to stab Whitney Houston and slash her own wrists with a razor blade and was admitted to a psychiatric hospital. Then, last year, a tabloid published photographs of Bobbi Kristina Brown using cocaine, and she was charged with possessing alcohol as a minor. Whitney Houston’s response was to march her to a rehab clinic in Malibu and, to set what she thought was the right example, she booked herself into another nearby. During her final decade, Whitney Houston surely clocked up more hours in rehab than Michael Jackson and Elizabeth Taylor combined. She invariably waltzed out after a few days, however, and at least twice, in 1999 and 2005, her mother grew so desperate she staged legal “interventions” forcing her to complete a recovery program. Accompanied by a sheriff, Cissy Houston arrived at Whitney’s mansion in Georgia with a court order, requiring her daughter to be treated at Eric Clapton’s world-renowned Crossroads treatment center in Antigua. Whitney Houston complied, but soon returned to same behavior. Whitney Houston, it seemed, was a dead woman walking. And yet, sources close to Whitney Houston insist there is something odd about the timing of her death. After many false dawns, she had of late made genuine efforts to get clean. A starring film role even promised an unlikely career revival.